Posted on October 26, 2017 by AHGTC webmaster Posted in News	. at Alcester Baptish Church B49 5QT and after at the Town Hall across the road. Our deepest sympathy to Cath and the family. Criers are welcome to attend in Regalia. Posted on June 16, 2017 by AHGTC webmaster Posted in News	. It is with deep sorrow that we report the loss of Tony Nelson. He was the Official Town Crier of Sheringham for 29 years before retiring from the role in summer last year. We will let you know further details soon. Our thoughts are with Tony’s family and friends. Posted on April 8, 2017 by AHGTC webmaster Posted in News	. It is with sadness we report the passing of The City of Rochester Town Crier Robin Burfoot. Robin will be buried in his livery with hat and bell placed on the coffin for the funeral. Posted on April 6, 2017 by Mark Wylie Posted in News	. I would like to add the following statement on behalf of the A.H.G.T.C. Guild Members & Consorts in full regalia are covered by Public Liability Insurance at ALL Competitions and Events, as per the terms and conditions of the policy. Posted on March 17, 2017 by Mark Wylie Posted in News	. As you may know, the Calne Town Criers Competition has gone bi-annual and was due to take place on the 16th September 2017. Due to unforeseen circumstances, we have had to put the competition back by two weeks to Saturday 30th September 2017. We are inviting over 60 criers this year, with a limit of 25 places. We will be offering discounted accommodation for both the Friday and Saturday nights for all criers attending, regardless of distance travelled, and are hoping to provide the Friday night at an additional discount or even free for criers travelling more than 70 miles as the crow flies. This may, however, have to be restricted to the first half dozen or so qualifying entries. Invitations are due to go out shortly. If, by the end of April, you have not received one and would like to come, please don’t hesitate to get in touch and I will pass your details on to the wonderful Tracy at my council. Posted on March 14, 2017 by AHGTC webmaster Posted in News	. Posted on January 11, 2017 by AHGTC webmaster Posted in News	. Posted on September 16, 2016 by AHGTC webmaster Posted in News	. Electronic communication is self evidently not as effective as shouting in the high street whist wearing a feathered tricorn. Anybody who disagrees with the preceding may leave this website at once, thank you. Nonetheless, it has been generally agreed by wiser heads than ours that there might be something to be said for modern communication technologies and that this digital malarky may well have its place. To that end the Guild now has its very own twitter feed. Follow us to find out about Guild events, competitions, comings and goings, the promotion of prestigious public pronouncements and all things ‘crierish’. 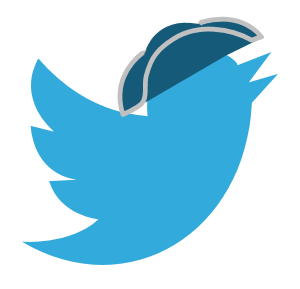 Twitter… It may even catch on. Posted on May 3, 2016 by AHGTC webmaster Posted in News	. 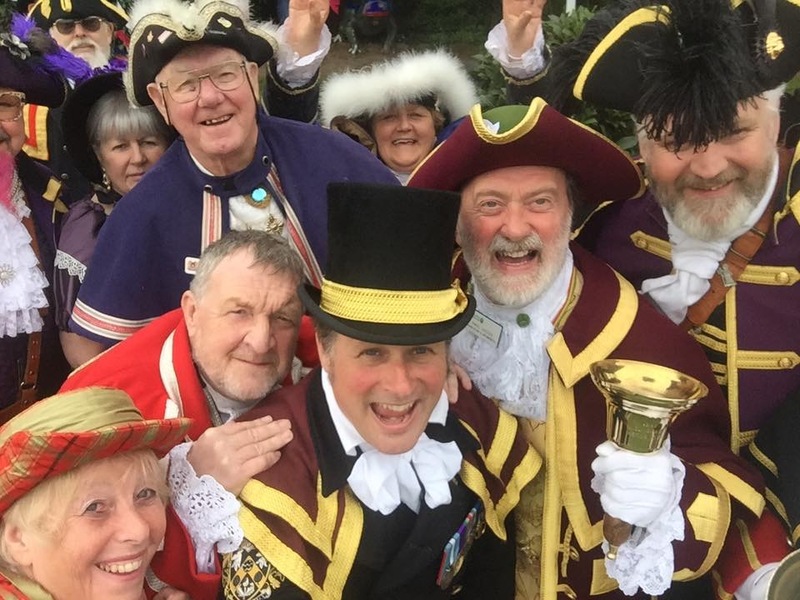 For the third time in a row, Ken Knowles has won the Town Crier Competition at Haslemere and taken the Tennyson Trophy home to Lichfield. The competition, which is held every two years attracted criers from afar as Cheshire, Devon and Wales who competed over two rounds of proclamations which were judged for volume, clarity, diction and inflection. Ken (in red but without his hat in the middle of the picture) was delighted to have won and gave fulsome praise to the host crier Christian Ashdown (centre wearing top hat) for putting on what all agreed was an excellent and enjoyable competition. Tags: competition, ken knowles	.